Yamal Peninsula April 2018 © Yuri Kozyrev / NOOR pour la Fondation Carmignac. The Arctic Gate terminal is located in the Gulf of Ob, near Cape Kamenny (Russia). The first oil barrel was shipped out from the terminal in 2014, and winter out-shipments started in 2015. It was launched as part of the Novy Port oil field development. Point Hope, Alaska, Arctic, May 2018 © Kadir van Lohuizen / NOOR for Fondation Carmignac. A whale hunter is on the outlook to track Bowhead whales. The Point Hope native community can catch 10 bowheads a year. We might wish to bury our heads in the sand as the forces of climate change push the survival of the planet towards the precipice, comforted by a faith that ignorance can protect us from all that we sow — either unable to accept reality or overwhelmed by the fact that these changes are now unstoppable, and we are ill-prepared to meet the challenges they bring. The fate of the planet lies in the hands of those who set policy — but often we don’t see what is happening until it is much too late. Enter photojournalists Yuri Kozyrev and Kadir van Lohuizen. The results of their work can be seen in Arctic : New Frontier – A Double Polar Expedition, on view at Cité des sciences et de l’industrie in Paris through December 9, 2018 – revealing the devastating, irreversible effects of climate change on the ice caps, as a direct result of the impact of large-scale industrialization and militarization. A book of the same name has just been co-published by Reliefs and Fondation Carmignac. “The photos of Yuri Kozyrev and Kadir van Lohuizen are superb. Through them, from Siberia, Svalbard and Greenland to Canada and Alaska, we discover the Arctic of today, with its landscapes and wildlife that are drawing a growing number of tourists, as well as its populations who are exposed to extreme climates and who mine resources such as nickel and, increasingly, gas, oil and coal. Protecting the environment does not appear central to their activity, to put it mildly,” observes Jean Jouzel, climatologist, winner of the 2012 Vetlesen Award and co-winner of the 2007 Nobel Peace Award as Director of the IPCC. 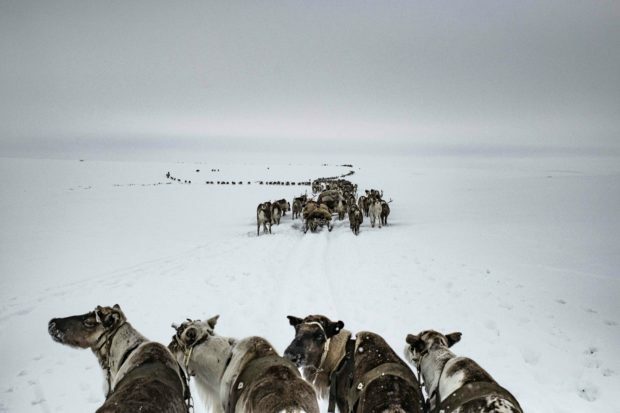 For the project, Kozyrev accompanied the last remaining Nomadic people of the region, the Nenets, during their seasonal movement known as transhumance along Russian maritime ports in the Arctic. This year, their migration was interrupted for the first time in history because of the melting of the permafrost. 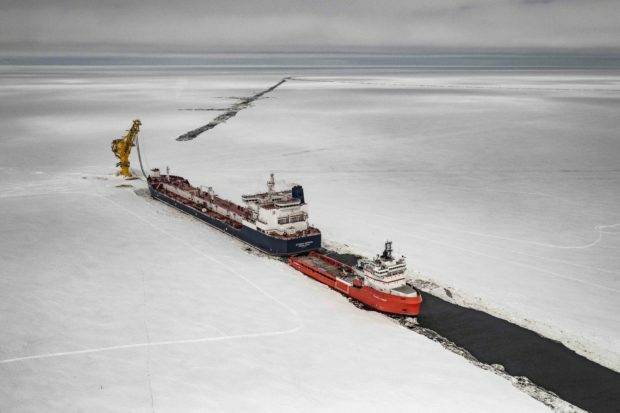 Traveling aboard the Montchegorsk, the first container ship to use the Northern Sea route unassisted, Kozyrev encountered people made ill by nickel mining in Norilsk before arriving in Murmansk, where the first floating nuclear power plant is under secret construction. Kadir van Lohuizen started his journey on the Norwegian island of Spitzberg, following the Northwest Passage, which has the shortest route between Europe and Asia due to the melting polar caps. 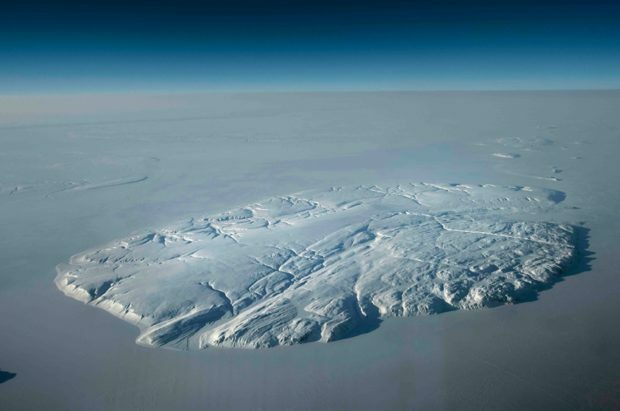 In Greenland, he met scientists who recently discovered the existence of frozen rivers beneath the ice cap that are adding to the planet’s rising water levels. Van Lohuizen then traveled to South of Cornwallis Island, off the coast of Canada, where he lived in the small community of Resolute, home to a training facility for the Canadian Army. 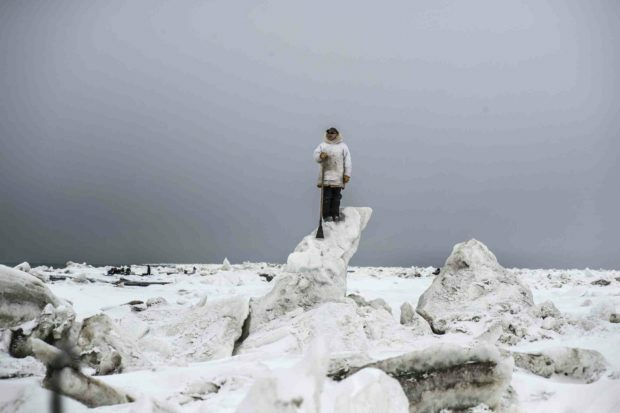 Lastly, he visited Kivalina, an indigenous village on the northern tip of Alaska, which, according to current forecasts, will be fully underwater by 2025. In the work of Kozyrev and van Lohuizen, we confront the bare facts: the scale and scope of change is so vast and undeniable that the horror it poses must be centered lest we forget — the glaciers that once receded are now returning, and when the dam breaks it won’t be for lack of evidence. Island in the Arctic sea near Qausuittuq (Resolute Bay) Canada, March 2018. © Kadir van Lohuizen / NOOR for Fondation Carmignac. Yamal Peninsula, April 2018 © Yuri Kozyrev / NOOR for Fondation Carmignac. The Nenets herd reindeer during the migration. For centuries, Nenets reindeer herders have migrated to summer pastures on the Yamal Peninsula, returning south in winter. Their annual trek takes them 400 miles north to the Yamal Peninsula and the Arctic coast. March 2018, Resolute Bay, Canada. © Kadir van Lohuizen / NOOR for Fondation Carmignac. 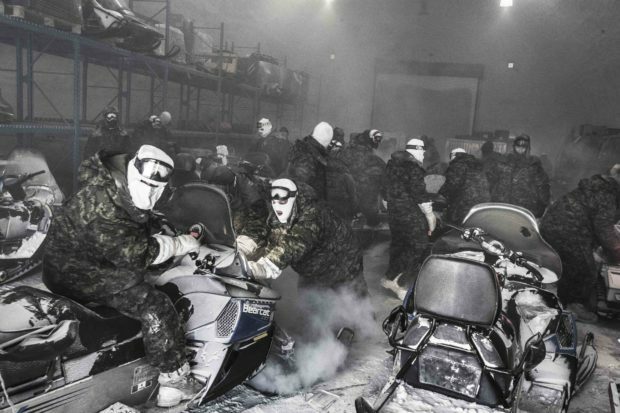 Operation NUNALIVUT, conducted every year since 2007, focuses on patrolling the High Arctic and learning about winter survival. Main objective: “Assert Canada’s legal status over its northenmost regions. “ Starting up snow scooters at extreme temperatures is a big challenge: fuel pumps often freeze. Longyearbyen, Spitsbergen, Svalbard, Arctic, June 2018 © Kadir van Lohuizen / NOOR for Fondation Carmignac. 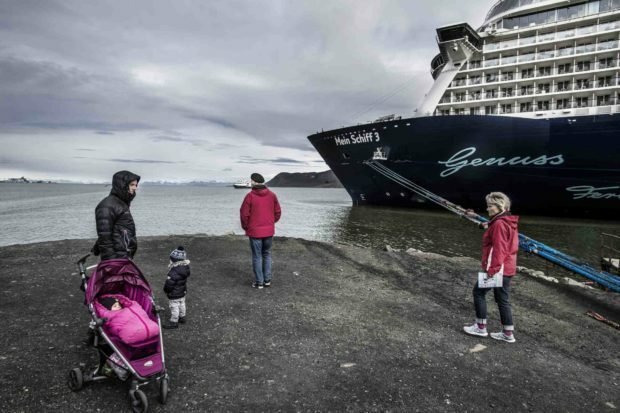 Large cruise ships come to Spitsbergen on a regular basis nowadays; the lack of sea ice makes it much easier.